It's every creative person's dream to be able to support yourself with something of your own making. It takes self-belief, commitment, hard work and a little bit of blue sky thinking. Husband and wife Samantha Stocks and Elliot Jay Stocks decided to pursue that dream and launch their own magazine, Lagom - a publication that explores the creative industries and delves into the lives of artists, designers and other creatives. Their debut issue was released in September 2014 and they are now working hard towards their second issue. Both Sam and Elliot are based in Bristol, but Lagom - meaning "just the right amount" - is distributed across the globe as well as several key places in the UK - not at all bad for the first ever issue! We caught up with Sam and Elliot to find out more about their brand new magazine, and to prove that with a little bit of passion, research and creativity, taking a leap of faith can truly pay off. Hi guys! Can you tell me a bit about Lagom, in your own words? [SS] Lagom is a lifestyle magazine aimed at people who are already working in the creative industry, or who are perhaps considering moving into the creative field. We've very much designed it to be inspirational; we celebrate the independent spirit and many of the people we feature have independently set up their own businesses. 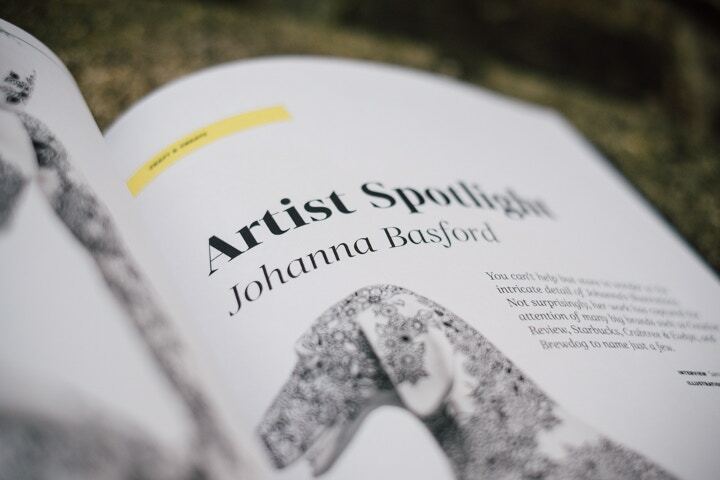 The creative industry is a very wide and varied one, and we love being able to include a wide variety of people, from typographers to woodworkers, and artists and designers of all disciplines to baristas and chefs. We regularly feature interesting and inspiring workspaces and hotels, work from artists and illustrators, interviews with small business entrepreneurs, recipes, and more. [EJS] In a nutshell, the magazine is a celebration of innovation and creativity. Why did you decide to set up your own magazine? Was it a lightbulb moment or something you'd always wanted to do? [EJS] Back in 2010 I started the typography magazine 8 Faces as a way of delving into print (I was a web designer at the time) and indulging in my love of type. The magazine became relatively popular and it turned from a side project into an almost-full-time project, and it made me completely fall in love with print. But as the 8 Faces run came to an end in 2014 (the plan was always to stop after eight issues), I wanted to create a magazine that would replace it, but one that had a much wider reach, and one that would very much be a joint creation of myself and Sam. [SS] I've worked in the publishing industry for a while, and always dreamed of being my own boss and having the freedom of creating and growing something that was mine. I've known a number of people who've gone off and done their own thing, running their own business or creating their own product, and always felt inspired by them. Creating a magazine that includes content we'd love to read ourselves was a very logical step to take! What do you guys do for a day job? And how do you fit Lagom in around that? [EJS] I'm the Creative Director of Adobe Typekit. I juggle both roles, but in terms of actual man hours, Sam is full-time on Lagom, whereas I'm part-time. [SS] I'm a freelance journalist and copywriter. Fitting Lagom in around my other work has been difficult at times, but it has now gone from a part-time job to being full-time and this suits me fine at the moment! Do you have any advice for anyone who might want to set up their own publication? [EJS] Find a good printer! 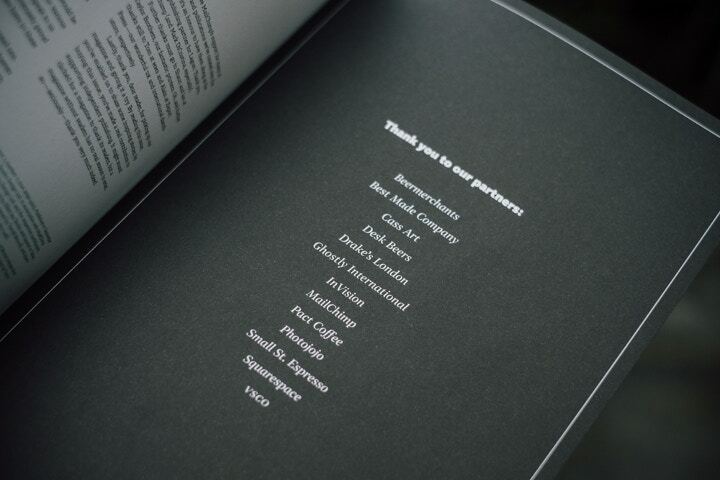 We're printed by Taylor Brothers and their level of care and attention to detail is above and beyond some of my previous experiences with printers. It's also important to proof as much as possible — you'll never spot all of the mistakes, or get a thorough idea about the typesetting just by looking on screen. [SS] It's also important to find contributors you like working with whom you can rely on to work on various aspects of the publication. So how did you go about recruiting your team? [SS] There are so many talented photographers and illustrators out there that it's hasn't been hard to find and be able to work with some great people who've produced fantastic work for the magazine. Twitter has been a very valuable resource for reaching out to people. Was it important to you that the magazine was as visually led as it is feature led? [SS] It was always our intention to make Lagom something beautiful, something that people would want to keep on their shelves. Our readers appreciate quality and good design, so it needed to be something that would appeal to them, but also something we could be proud of. So yes, the visuals are a crucial part of the magazine. What was the hardest thing about starting Lagom? What kind of obstacles did you come across? [SS] When we first decided to create the magazine, we gave ourselves a tight deadline to turn everything around by, including defining the entire concept of the brand. It was a fun process, but it probably would have been a lot less stressful if we'd had more time! [EJS] Yes, somehow everything always takes longer than you think, even if you build in some contingency time! One of the things I regret is that we weren't able to launch a digital edition straight away. In fact we're still working on it. But I think it's important to get things right, and having an end product we're truly proud of is better than pushing out multiple formats that are substandard. Is it difficult balancing the website and blog alongside your plans for the printed issues? Do you see them as slightly separate? [SS] We do see them as separate, but we also see our online identity as a good way to keep connected with our readers and potential new readers, updating them with our news and sharing previews of features we're currently working on. It's also a great way to share the things we stumble across online that we think are cool, like great designs and interesting illustrations. 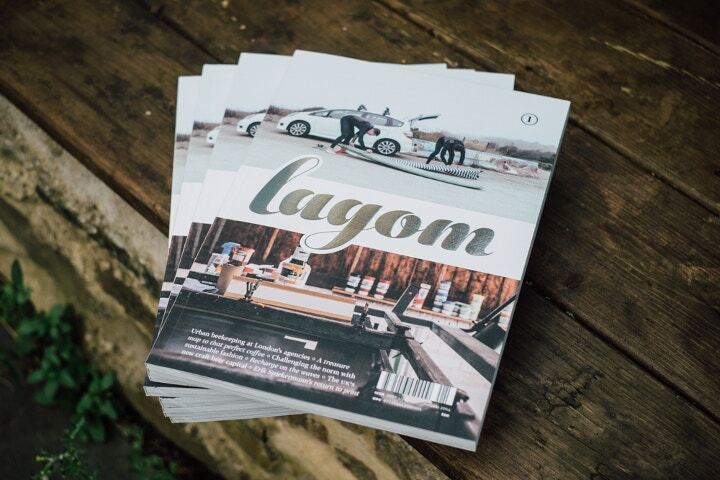 How's the next issue looking - and do you have plans for distributing Lagom more widely? [EJS] It's shaping up very nicely. At the time of writing, we have about half the photos in and a good portion of the articles. We have a pretty good distribution network already: we're stocked all over the world, although we're still waiting to hear back from some countries with a list of the shops we're in! We're expanding our print run with this next issue and looking for more places to be stocked. If you could each wrap up the experience of launching your own magazine in one word, which word would you choose? Sam and Elliot are both founders of Lagom and are based in Bristol, home to Cass Art's new shop. 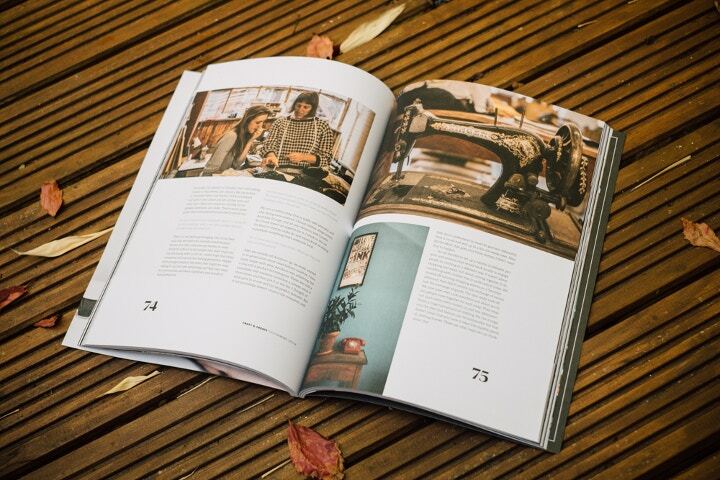 Check out Lagom's website and find out where you can get your hands on a copy of the creative magazine.